Lt.col.(Retd.) Ram Rang Aneja who has already witnessed eighty two summers in his life, after serving 37 years in rank and as commissioned officer is imbibed with limitless passion for music from childhood with his mother providing the necessary ambience for developing his musical faculties. During his service in the Army he has actively participated in various musical events. Being a connoisseur of music, he conceived an idea of reviving people’s interest in old Hindi film songs of the by-gone era. Accordingly, on 25th April, 2010 he along with like-minded music lovers formed the “Golden Era Songs& Music Lovers Association”. 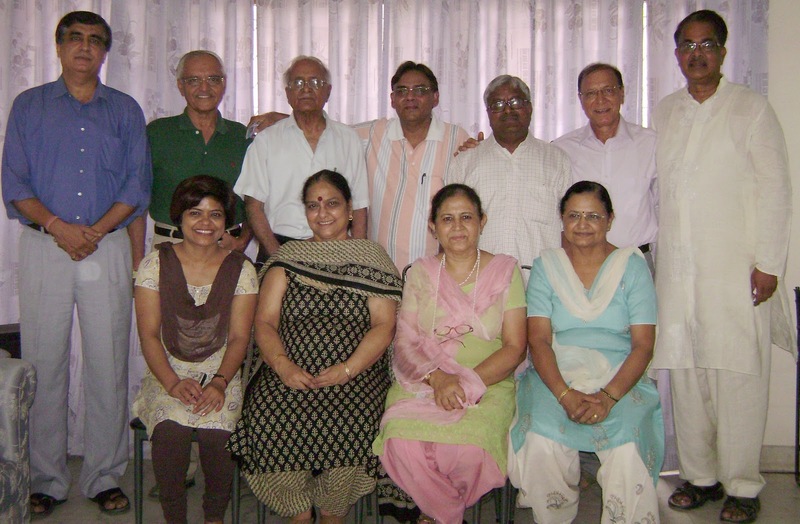 Since then number of ladies and gents including many senior citizens have become members of this Association. The Association was later christened as “Dwarka Kala Sangam” and has been duly registered with the Registrar of Societies, NCR. Dwarka Kala Sangam has been holding musical gatherings every month since its inception where members rendered melodious songs of golden era. Dwarka Kala Sangam is successfully spreading the cause of reviving interest in songs of golden era with the dedicated services of its following office bearers and concerted efforts of its other members. The Association having prominent personalities such as Defense Officers. IPS Officer, Doctors and Engineers has become very popular within a short span of time. With the success story of the Association reaching the nook and corner of Dwarka sub-city more and more music lovers are approaching to become its members.